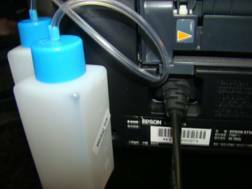 Installation of the waste ink bottle (For R2880, R1900). 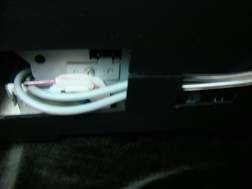 You will need to remove the silver back side panel closest the power plug to install this. 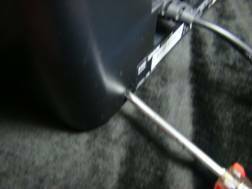 You need to push the top back to get the tab out of the chassis (Picture A & B). 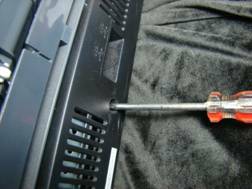 Then grab a flat head screwdriver and pull back the cover enough to get your fingers in. 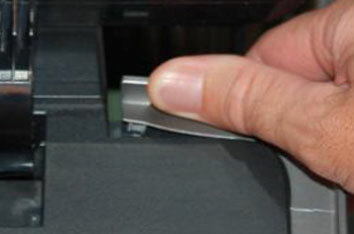 Once in, pull back and down with slight pressure until the back clips pop out. 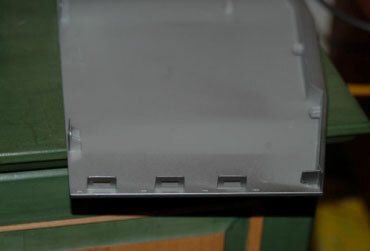 Do this same procedure for the side panel (Picture C & D). 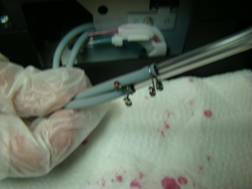 Once off, will see the overflow tubes (Picture E). 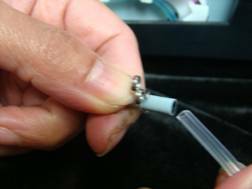 Take a small pair of pliers and pull the clips back in order for the tubes to be removed easier. 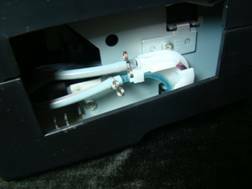 Then put the supplied tubes over the printer tubes. These will be the tubes to the left in (Picture E). A light soap and water mixture will help them slide together. Next drill 2 small holes in the panel for the tubes to come out. 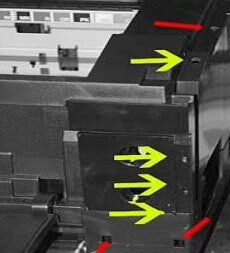 You can also route the tubes underneath or out through the back panel if you don't want to drill holes (Picture F). Personal preference here but the holes allow more freedom with the tubes and you don't have to worry about pinching and the cover will go back on snuggly. 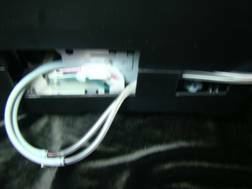 Once the tubing is routed outside of the panel, snap the panel back in place in the opposite order that it was taken off. 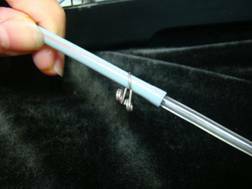 Attach the tubes to the empty bottle and place the bottle in the ink bottle case. Make sure to watch the ink level on the bottle. It can fill up a little faster than you might think. 2. 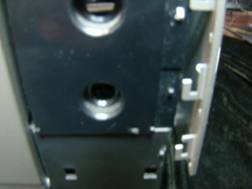 After removing the screws, we can remove the right side panel. 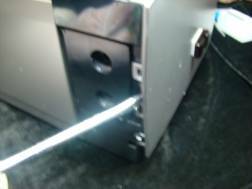 From the front panel, insert a thin metal blade or similar tool into the small holes and gently release the plastic catches. 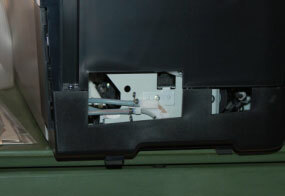 Then release the side panel. 3. 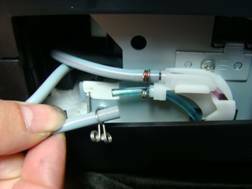 You then will see the Epson's waste ink tubes and connections. 4. Disconnet the Epson's waste ink tubes then re-connect both tubes to our InkRepublic's waste ink tubes. Then route the new tubes to the rear side. 5. 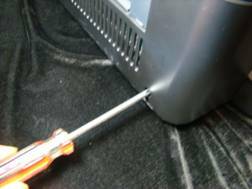 The easier way (not to drill holes on the side panel) is to leave a gap from the rear side panel, thus, you may not want to put the screw back. 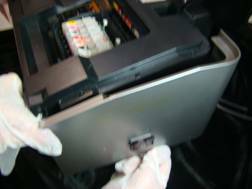 Most of time, the waste ink bottle would be filled up quickly, so you can direct both waste ink tubes to different waste ink bottles, that way you have more space for the waste ink. 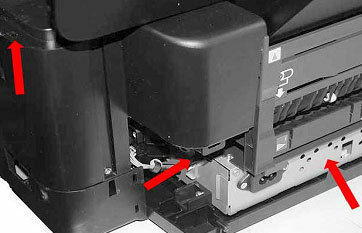 Q: R2400/R1800 Waste Ink Tube and Bottle Installation. 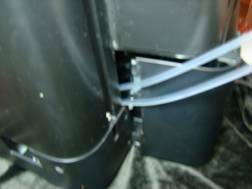 Q: R260/R380/RX580 Waste Ink Tube & Bottle Installation. 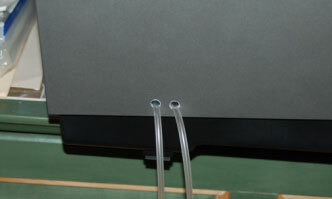 Q: R800 Waste Ink Tube & Bottle Installation.